← Antibiotics in animal agriculture – what’s the latest? Very interesting! 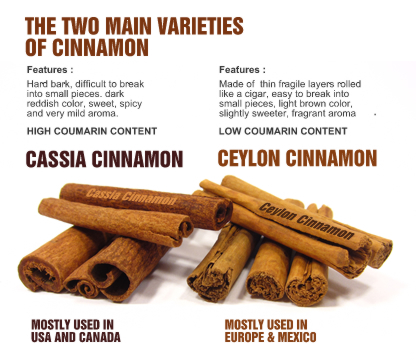 I’ve upped my consumption of cinnamon a lot in the past year after reading all the health claims. No cinnamon rolls or supplements – just using it in oatmeal, coffee, homemade granola, etc. But I’ll make sure I keep it to a few shakes a day now, too, since it’s likely the cassia form. Thanks Julie!